It all started with our sister site www.AllPunk.net which was invented by a good friend of ours called David Norminton; The aim behind it was to help promote lesser known bands, find new music to listen to and also a new hobby to kill time, I (Craig) started to help out but my heart was more with metal than it ever was with punk so asked if I could get a copy and create www.AllHeavyMetal.net. 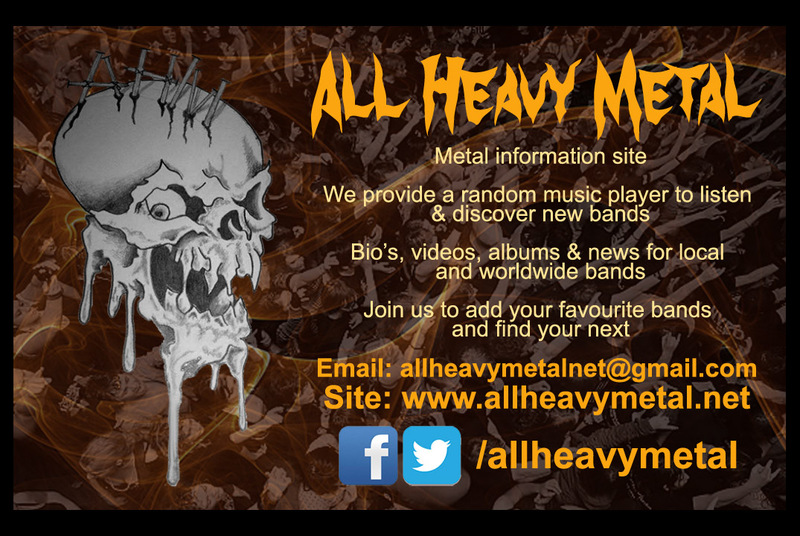 The name AllMetal had already been taken so it was AllHeavyMetal that we got. It didn't take long to realise that what my mind could think of for the site, my skills lacked. David was too busy with his own site to be able to do all the changes that I wanted, That is when long time friend Martin Barker stepped up and said he would help. The first thing Martin did after talking about the site was have a drunken weekend at my house and he almost completly remade the site using my design for the look, The site is always been worked on but with Uni and work the updates take a while and my list for things for him to do will always grow faster than it is possible to complete. Along our way we have had some help Web Development we had 2 cool programmers Chris White and Ben Broadley, we also had some great reviews by Sy D eath, Kelly Miss Piggy Reynolds and Mark Pritchard.